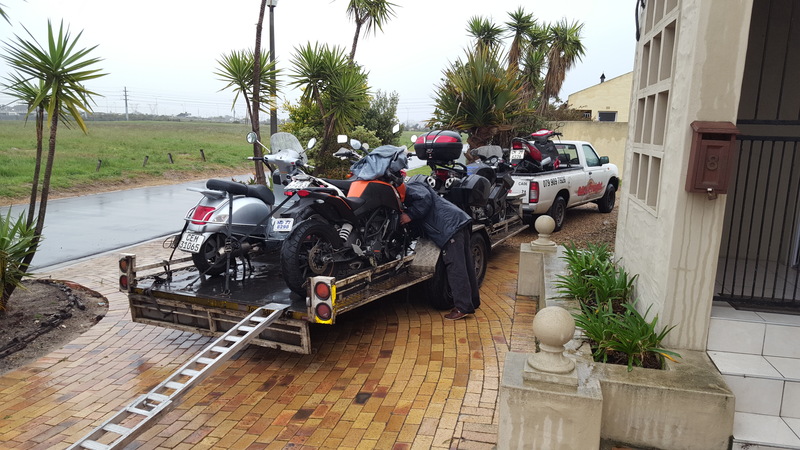 Motorcycle transport trip 265 Loaded and ready to leave Cape Town. 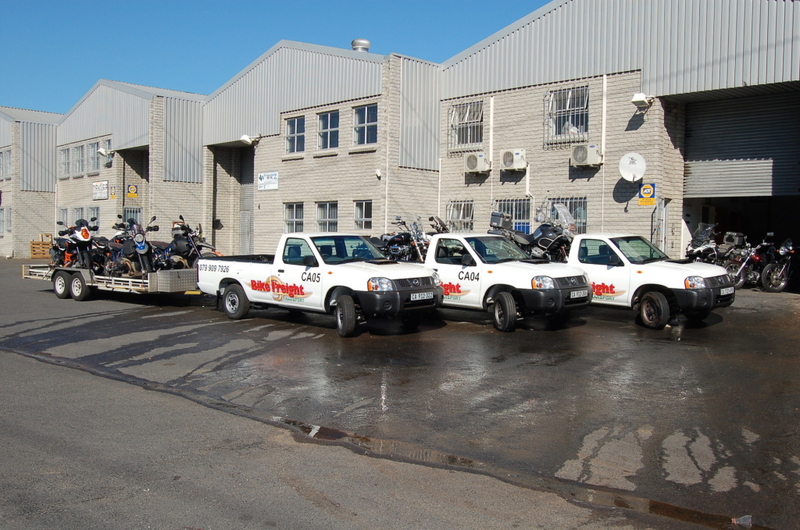 We transport motorcycles all over SA and Namibia. 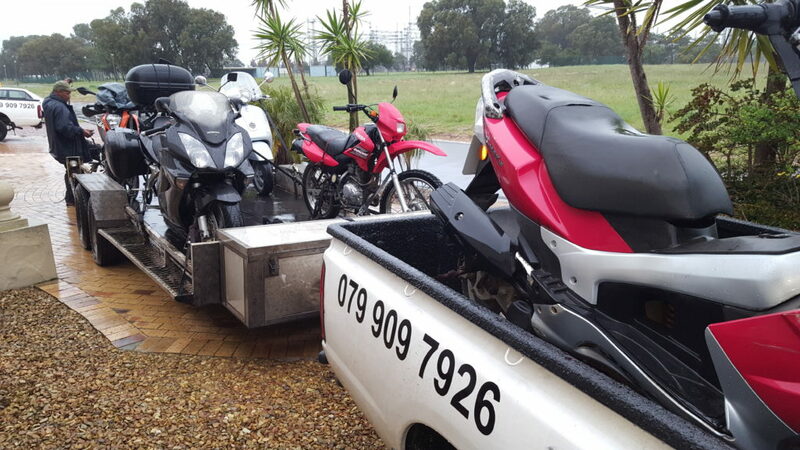 We can also arrange the shipment of your bike overseas with very competitive rates. Crating and packaging options available. 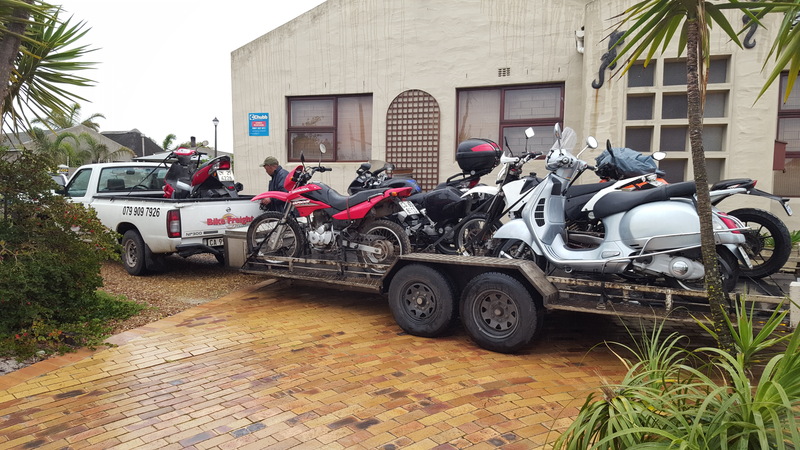 We do local transportation of all bikes, quads, three wheelers, scooters and golf carts every week, door to door all over SA and Namibia. 24hr sat tracking, very experienced drivers, the best in the business. Loading up rain come shine! We also do Namibia when bookings dictate. This is done on an exclusive rate for that specific customer and normally takes two days for the round trip from Cape Town to Windhoek and back to Cape Town. Because it is a specific trip for a specific customer we can adhere to specific dates and times within reason.